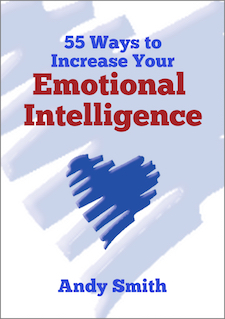 Download this tips booklet for practical advice on how to increase your emotional intelligence (also known as "EI" or "EQ"). This fluff-free, easy-to-read guide gives you what other EI books leave out - "how to" tips that work! The booklet is divided into 5 sections, following the model of EI that Daniel Goleman set out in the best-selling book "Emotional Intelligence". So - do you need practical tips for improving your self-awareness, understanding other people, motivating yourself, controlling your emotions, and inspiring others? Don't have time to read weighty academic texts about EI? This is what you've been looking for! "As a coach I often lend out books and CD's to my clients if that helps to accelerate their progress.